Orders can be assigned to trucks (or any other vehicle type) either before, during, or after production, on any day, and on any load. This information is displayed visually, and orders can be moved about or reallocated easily. Truck compartments are also supported. Loads (e.g. first, second, AM, PM, etc). are fully configurable. You can configure permanent trucks (to be displayed in any desired order) or use temporary trucks when required. This facility works seamlessly with the AutoPilot4Feed’s bulk out-loading facility. The current Plan4Feed settings can be stored as a site-wide user profile, which can be later be loaded on any PC. Plan4Feed supports multiple profiles and remembers everything from fonts to filters. Each PC running Plan4Feed can switch between profiles effortlessly at any time. Orders can be split (on the Production Programme), which allows them to be make separately, or on multiple destinations. Plan4Feed now supports multiple press speeds (tph) per product category per destination. This means you can configure a certain product to be made at different speeds depending on which production line it is made. Plan4Feed has had many improvements to its looks and feel. Colours and fonts have been tweaked, and options menus have been replaced by intuitive screens. More filters have been added to the Order List, and these can be adjusted quickly and easily when required. Plan4Feed is an established optional facility for AutoPilot4Feed to help with scheduling production and improving efficiency. 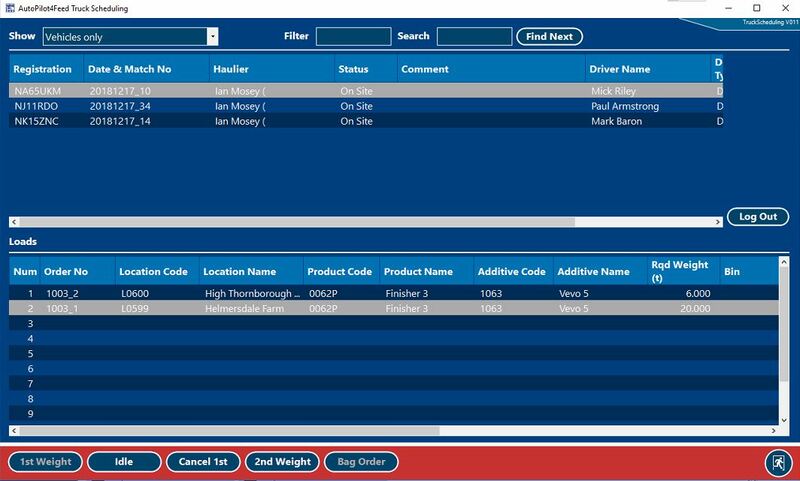 With AutoPilot4Feed Version 9 all blending systems include a "Lite" version of Plan4Feed which visually displays the day programme and updates in real time. This helps predict when product runs will complete and users can easily see the production schedule status. The "Lite" version does not include any of the order scheduling features. Where the fully automatic AutoPilot4Feed bulk out-loading facility isn't currently possible due to manual operation of bin discharge, there is an alternative facility to process finished product trucks on the weighbridge. This enables 1st and 2nd weights to be captured for each truck and dispatch notes printed. It can also process bag collection trucks. All data is logged for future reference and reporting. 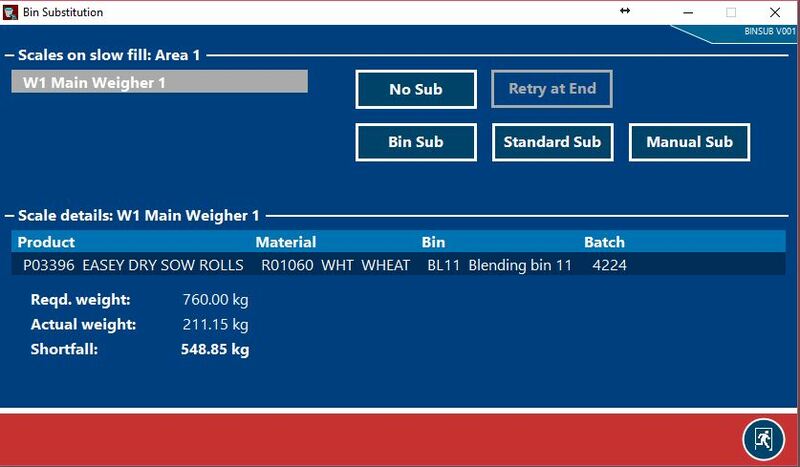 A new facility is provided in version 9 to simplify bin stock checks by allowing the operator to enter a bin dip level in metres from a laser device (or transmit via Bluetooth). The utility is designed to work on a tablet PC so this can be taken to the top of the bins. The system can then instantly and accurately update the bin stock level. Bins are configured with their size and cone shape. 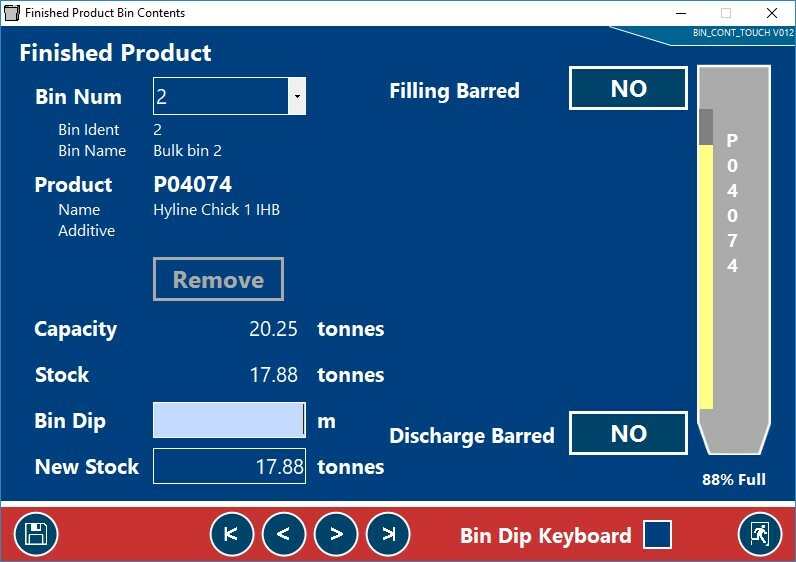 The software uses these parameters to convert the bin dip level to a volume which is then converted to a tonnage using the material density. 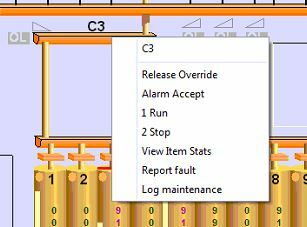 A new feature has been built into AutoPilot4Feed to allow operators to report plant issues to the Assets4Feed maintenance software. This allows non-planned maintenance to be scheduled alongside the planned maintenance. 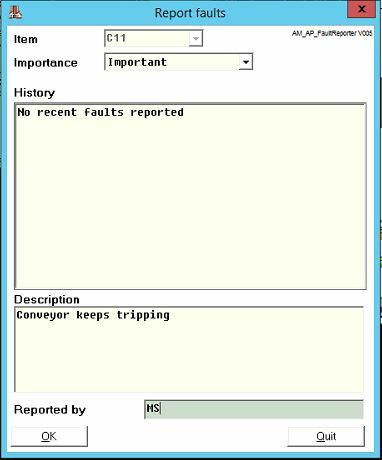 To report a fault the operator simply clicks on the item and fills in a form with the details of the issue. In the Assets4Feed the issues will appear in the maintenance schedule.